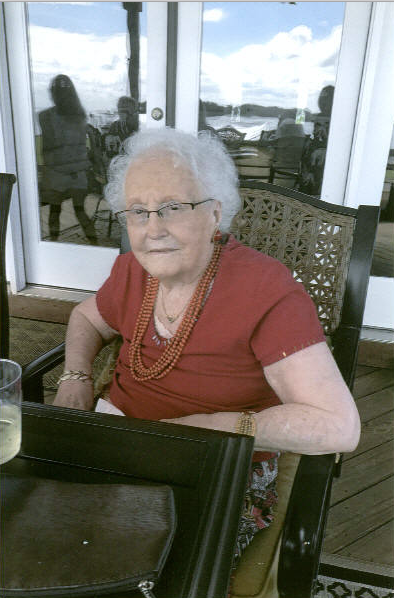 Blanche Sarrotte, 93, of Smith’s Beach and Belle Haven, Virginia, passed peacefully in her home on Sunday morning, September 17, 2017. She was predeceased by her husband, Jean Sarrotte, her mother Blanche Brignard and her father, Maurice Brignard. Those whom she also loved as family include Bonnie Baker Drewer (deceased) and her children Craig and Michelle Drewer (daughters Alexis and Hannah), Kelly Drewer and Terry Langley, and Bill and Holly Erwin (sons Wade and Craig). They treasure her memories of the farm in Bordeaux, her time in the convent, her escape from Paris during WW II, her dual French-American citizenship, as well as her love of fishing and tending to her garden at Smith’s Beach. They admired her love of life, her eye toward flowers, her taste toward fine food, her kindness toward her charges (to include cats and dogs) and her love toward all. Services will be graveside Saturday, September 23, 2017 at 11:00 am, Cape Charles Cemetery with the Rev.. Michael Breslin officiating. In lieu of flowers contributions may be made to the S.P.C.A. , P.O. Box 164, Onley, VA. 23418. Online condolences may be sent to the family at foxandjamesfh.com Arrangements by Fox and James Funeral Home, Eastville, VA.